Anna works on health retreats as a raw chef and as part of a detox support team. She also runs raw food classes for the Nutritional Healing Foundation, at Chewton Glen cookery school and from her home in Bristol. Her workshops aim to educate students & clients about how to make healthier food choices that are nourishing, easy to implement and tasty. Classes cover getting started with raw foods, how to use unusual superfoods, seaweeds, mushroom extracts and interesting ferments. Anna also runs raw dessert classes which are suitable for vegan, gluten-free and low sugar diets. 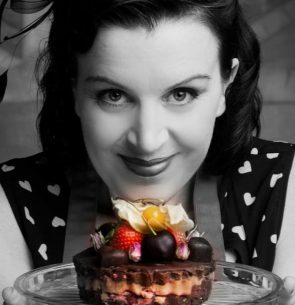 Alongside teaching, Anna runs a raw chocolate and cake business in Bristol. She is also co-founder of a company offering diet and lifestyle support for clients managing type 2 diabetes, using a holistic approach to open the door to better sugar control. Learn about the fascinating world of ferments. How they can improve our gut health, help boost our immune system and are feel good foods to lift our spirit. Learn how to satisfy your sweet tooth without reaching for sugar.